The provincial Departments of Agriculture in the Western Cape, Eastern Cape , Northern Cape and KwaZulu Natal (KZN) reported to the Committee on their conditional grants and equitable share plans and progress. The Committee had specifically asked that the provincial departments speak to the Comprehensive Agricultural Support Programme (CASP), Ilima Letsema, Fetsa Tlala, drought relief programmes (detailing the number of functional bore holes in the provinces), progress with agri-Park development and procurement initiatives. The Northern Cape reported that it was a semi-arid province which occupied over 30% of South African land mass. Because of the climate, most of its efforts were concentrated on animal husbandry, which took up about 67% of the land. This province had suggested that animal production should be included as part of the Ilima Letsema and Fetsa Tlala programmes. This province had 25 CASP and 14 Ilima-Letsema projects in five districts. In Q1 it had planted a total of 200ha, with wheat covering 150ha. The bulk irrigation infrastructure was over 60years old, and around 30% of water was lost when it leaked out of canals. It was thought that revitalisation of this infrastructure could increase maize production by 5.7% and wheat by 5.6%. Ilima-Letsema supported 3 010 beneficiaries, mainly those producing wine and fruit. In quarter 1 (Q1) the province ran 13 training courses, and trained 259 beneficiaries. Members raised concerns on the efficiency in which the Northern Cape was making use of available funding. They questioned why in some areas there was no mention of support to farmers, and whether aquaculture projects were in existence. It was also asked why it had not reported on animal production. The PDA was asked to give a breakdown of its spending and the number of jobs created and was asked what it was doing. Both Northern Cape and KwaZulu Natal were asked why they had not reported anything specific on drought support, and a full report on boreholes was requested. They asked about provision for floods. Other questions related to female farmers being able to access markets in the province and whether there were work with organised unions. This department was asked about readiness for cropping, and for further information on agri-Parks. KZN had seven high impact projects, which were the Makhathini cotton production, livestock programme (small & large stock), sugarcane for financially distressed farmers, communal estates (maize and beans production), revitalization of irrigation projects ,food security and the Extension Recovery Programme. Most of the production was in fruit and grain, with other commodities being poultry, vegetables, dairy, fruit aquaculture and red meat production. R19.1 million of the R222.1 million allocated was spent in Q1. The Ilima-Letsema allocation was directed to funding grain and cotton, beans, irrigation development, mechanisation on communal land and food security. R2.2 of the R10.6 million for the Land Care Conditional Grant had been used in Q1. Irrigation repairs and subsurface drainage had been necessary in the Makhthini Irrigation Scheme. Fetsa Tlala concentrated on maize and beans, farmer training had been conducted and 30 individuals in 40 projects benefited from mentoring. Members asked that KwaZulu Natal give feedback on drought support, why it did not appear to be support to farmers in all project areas. There were also allegations that only selected farmers were being offered support. KZN was asked why it was not spending on visible projects, how many boreholes had been drilled and how many were functional and how it was dealing with water access. Concerns were expressed on its readiness for cropping and it was asked why some cropping for cotton had not been done in Q1. It was asked to speak to the agri-Parks. Western Cape has 12.9 million hectares of farmland, and 11.5 million hectares that could be used for agricultural purposes (intensive and predominantly extensive). Western Cape's mediterranean climate impacted on its agriculture. It had used 100% of the transferred funds for the Equitable Share, CASP, Ilima/Letsema, Landcare and the Jobs Fund programmes in Q1 and activities aligned to the .Agricultural Policy Action Plan were all on track. The Jobs Fund had 24 projects in agriculture, including commercialisation of small farmers. The Ebenheiser scheme in Q3 would focus on construction of on-farm infrastructure, benefitting 153 plots and being valued at R10 million. Western Cape had trained 475 farmers and mentored four farmers. The province had seen slow spending of amounts for disaster recovery but had received a R2 million drought assistance donation from AgriSA. Most of the land care investment was in water care. Partnerships were critical for development of smallholder farmers. Members asked Western Cape PDA how many black small holder and commercial farmers the provincial department was supporting, where it found funding for training, whether it had achieved all targets to match the full spending, and why no targets for cultivation were provided for the Karoo. They asked how double-funding could be avoided, whether land was provided to black farmers, whether those assisting with disaster relief could be paid, and the relationships with the municipalities, and with workers, some of who were experiencing labour unrest. Members were pleased to hear about tracking of tractors, how it was ensuring that land for agriculture was protected, wanted to hear more about complaints in Phillipi ,and were concerned to hear that AgriSA was providing funding, when it had previously. The Eastern Cape had a large number of subsistence and smallholder farmers and a very small percentage of the total provincial budget was put to agriculture, so that the department was hard pressed to stretch its funding and was partnering with the private sector. It was admitted that performance was not yet up to scratch, and farmers had limited sources of funding. The majority of the equitable share plus CASP was used for production of red meat although R18 million was set aside for fencing. Training received priority and new infrastructure costing R101.1 million was spent. The Department was trying to raise it accountability and visibility, supporting 465 farmers with technical advise through agricultural advisers. Numbers of jobs created were set out. Under Fetsa Tlala cropping was focused on high potential areas. The public private partnerships were described. Members asked the Eastern Cape to expand upon whether there were any boreholes, to expand upon the relationships with any universities, how it managed tractors and what was being done about farm workers who might be exploited. This province was asked to give baseline figures for black and white farmers, and for numbers of hectares planted. This province was commended on using the equitable share. It was asked why more veterinarians could not be sourced from the rural areas the rural area were deployed from the city and were not sourced from the rural areas themselves. Members wanted to know where the mobile veterinarian clinics were operating because they had not been visible. A report on drought-resistant maize was requested. One Member commented that she did not think the national Department of Agriculture Forestry and Fisheries (DAFF) was giving substantial consideration to all provinces and wondered if the conditional grants were not too limiting. DAFF was also asked to provide a full report on spending for disaster relief. Clarity was sought on the ratio between farmers and jobs. Some concerns were expressed that provinces were not clear enough on the readiness support that they provided, and they were all asked to detail what they intended to achieve with the Fetsa Tlala and Ilima Letsema projects, which should be clearly distinguished. The province was allocated R128.3 million in its Comprehensive Agricultural Support Programme (CASP) budget and had allocated the majority of the spending to on and off farm infrastructure CASP projects as well as the extension recovery plan. In Quarter 1 (Q1) the province spent R9 million of the allocated R28 million on the extension recovery plan. R3 million was spent on CASP training from allocated funds and an additional R900 000 was spent from the province's equitable share. 13 training courses were conducted with 259 beneficiaries being trained by extension practitioners, the economics unit and external service providers. He said the Province had a total of 25 CASP projects in 5 districts, namely Frances Baard, John Taolo Gaetsewe, Namakwa, Pixley ka Seme, ZF Mgcawu, and Namakwa was the largest. A total of 3447 beneficiaries received support with the majority (2184) being producers of red meat and 1 020 producers of grain. Of the 4 742 farmers falling into the categories of Subsistence, Smallholder, or Black Commercial farmers, the majority who were receiving support from the Department came from John Taolo Gaetsewe. The province, in Q1, planted a total of 200ha, with wheat covering 150ha. 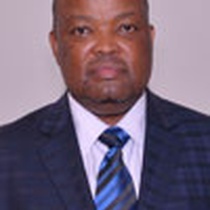 He reported that the Northern Cape had 14 Ilima-Letsema projects in the five districts valued at a total of R55.050 million .68% of these projects were in Frances Baard and ZF Mgcawu. The largest proportion of the budget was spent on wine, irrigation schemes, maize & wheat respectively. Ilima-Letsema supported 3 010 beneficiaries, mainly those producing wine and fruit in Q1. 400.3 ha were planted in Q1 with wheat covering 400ha and 0.3 ha being under vegetables. The province planned to add dry beans to its crop production in the 2016/17 season, with maize and wheat still covering the most hectares. The bulk of maize and wheat production would be in Frances Baard, Namakwa and Pixley ka Seme. The province had three high impact projects in rooibos development, Namakwa irrigation development and Vaalharts revitalisation scheme. He reported that the Namakwa irrigation development was to develop 3 200 Ha of high potential arable land. The land belonging to emerging farmers or municipalities, and would be used for high value crops such as raisins, wine and table grapes, dates and where possible, pecan nuts. The project, which was funded through Conditional Grants, would cost R1.6 billion over 10 years. The Vaalharts Revitalisation scheme covered 32 000 Ha of arable land, and was one of the biggest irrigation schemes in sub-Saharan Africa. Over 30% of Vaalharts was under pecan nuts production, a growing industry, with China as its main market. However the bulk irrigation infrastructure was 60 years old and this resulted in about 30% water loss due to leaking canals. The revitalisation of the infrastructure could increase maize production by 5.7% and wheat by 5.6% in the Northern Cape. As at 15 September 2016, the province had spent 24% of its allocated conditional grant budget. It had received only R78 million of the R194.7 million originally budgeted. Mr Sibusiso Shongwe, Director, Provincial Department, KwaZulu Natal, reported that KZN had seven high impact projects namely the Makhathini cotton production, livestock programme (small & large stock, sugarcane for financially distressed farmers, communal estates (maize and beans production), revitalization of irrigation projects ,food security and the Extension Recovery Programme (ERP). He said that KZN prioritized poultry, grains, vegetables, dairy fruit aquaculture and red meat production with the majority of production being in fruit and grain production. Of the R222.1 million allocated, the Department spent R19.1 million n Q1. The 2016/17 Ilima-Letsema allocation for the province was used to fund grain production of maize and beans production, cotton production, irrigation development, the mechanisation programme (communal estates) and food security. Of the R68.3 million allocated, the province had used R6.2 million on only irrigation and food security. The province had used R2.2 million of the R10.6 million allocated from the Land Care Conditional Grant in Q1. There was a need to install subsurface drainage pipes covering 250ha in the Makhathini Irrigation Scheme. An urgent repair of the main irrigation canal, which would mostly involve concrete work, was also required in order to prevent collapse of damaged sections of the main irrigation canal. In Q1, R4.3 million of the allocated R15 million had been spent on contracting for surface drainage. Under Fetsa Tlala the province had currently planted 45ha of maize and 30ha of beans. Farmer training and mentorship programmes had been conducted as part of training and capacity building, with 486 farmers trained, while 30 individuals from 40 projects benefitted from the mentoring. Mr H Kruger (DA) asked the Northern Cape provincial Department of Agriculture (PDA) to give a detailed breakdown of how it had spent R18 million on only who projects and many jobs were created from the projects. He asked why the province had no provision for aqua culture. She asked KZN to provide a baseline for the Makhathini Irrigation programme that detailed their current progress in the project, how much it would cost, and when it anticipated that this would be completed. She asked both provinces why they had not reported anything specific on drought support and requested a full report on the boreholes in the provinces. She asked the Northern Cape for a report on floods in the province and the DAFF for a full report on the spending for disaster support. Ms Z Jongbloed (DA) asked both provinces what provision that they made for aquaculture. Ms T Tongwane (ANC) asked the Northern Cape to clarify why there were no females accessing markets as well as why no support had been given to new farmers as yet. Mr P Maloyi (ANC) asked KZN PDA why there were no farmers supported in all project areas. He asked KZN if this PDA was supporting people who were meant to be supported and if the support they provided was given to individuals or if it was choosing only some selected individuals. He had received allegations that some of the farmers were not supported. Mr P Mabe (ANC) commented that the Northern Cape should not mix the challenges and achievements when reporting. He expressed concern for the readiness of both Northern Cape and KZN provinces for the cropping season, and said that at least some cropping for cotton should have been done in KZN in Q1. He asked for clarity on the ratio of farmers to jobs, and asked why there appeared to be more farmers than jobs. A Member asked the KZA PDA why it had not spent anything on visibility and accountability, despite having an allocation of R6.1 million for it. She asked KZN what progress it had made in addressing the challenges of water access. She commented that provinces were not clear on the readiness support they provided and asked why reports had not detailed anything on their contribution support to households. She asked what the provinces intended to achieve with the Fetsa Tlala and Ilima Letsema projects, and asked them to clearly distinguish the two projects to be sure everyone was on the same page. She asked KZN what progress it had made with the Makhathini, since there had previously been issues of water in the area. Dr Siphiwe Mkhize, Head of Deparment, KZN Provincial Department said that the province had not reported on sugar cane, as this was funded by equitable shares and not the grant, and so had been excluded from the report. The province supported sugar cane and had partnerships to support this. The province had a partnership with SASA and had signed a Memorandum of Understanding for an allocated R55 million. The province also ran a programme that specifically addressed “sugar cane for distressed farmers in drought”. He then explained that in terms of drought support, the province supported farmers with their animals, boreholes, water harvesting and de-worming. He highlighted that animals required a lot of medical attention during drought seasons. The province had put in R50 million from its equitable share to drought support. He replied that the Makhathini programme in KZN was bigger than the grant allowance .The Province did not work on this programme alone but had a budgeted R 400 million coming from various other stakeholders on this programme. The province had its focus on the mechanization of irrigation and adding new areas. He admitted that water was a challenge in Mjindi and many were complaining about it. Mjindi also has an issue of land claims as the area had been allocated to two different groups, however this was being reviewed. He reported that the province currently had a review of the system ongoing, and was questioning if it was viable to maintain Mjindi as a programme. He admitted that KZN did not give much support to aquaculture, as it only invested R6 million in it. He explained that the reason was that this programme had been surrendered to the Department of Environmental Affairs, after a split of departments in the province. He replied that the province had good relations with organized labor. The province had an umbrella of organized agriculture forums which included most of the organized labour bodies. He replied that nothing had been spent on visibility, as the province had focused more on policy and planning in Q1.It was looking to create a uniform for Agricultural Extension Officers, and a decision was still to be reached as to whether the uniform would be national or provincial. He replied that cotton and grain went with the season, and the planting season started in October .The province was working with researchers to identify more drought-resistant crops. There had been challenges with the drought in the previous season and so the PDA had planned to plant more beans which require less water. Dr Mkhize then answered the question on recruitment by saying that the PDA in KZN had used 34% of the budget and that it had gone through restructuring. This province had 20 functional boreholes and two nonfunctional ones. It had 44 dams and others were in the process of still being built. Dr Mkhize said that Fetsa Tlala was a combination of CASP and Ilima Letsema and focused on grain vegetation and cash crops on communal lands. It worked well with this province as it had communal lands which were lying fallow and neglected. The PDA had a programme in which it was working with the Amakhosi on specific crops, such as maize and beans, that were to be planted on communal land. Mr Mothibi presented the Northern Cape responses. Northern Cape was still experiencing a drought. It managed drought by having a team that conducted a monthly analysis of rainfall patterns in the province and made recommendations accordingly. The province had animal production and a livestock improvement service. The project ran the Nguni livestock development programme where animals were given to farmers and after a number of years the farmers would be required to return the same number of animals that were initially distributed. The province provides veterinary services and has mobile veterinary clinics. He replied that the province did conduct aquaculture and was presently conducting research on trout. It developed a supporting mechanism and rescue programmes with members of the coastal services. He commented that given the agricultural climate of the Northern Cape, animal production should be included as part of the Ilima Letsema and Fetsa Tlala programmes. So far all crop production was only done with irrigation. He replied that the province had established 26 reservoirs and had already planted winter crops, with preparations for summer crops under way. The Chairperson asked both provinces to comment on the issue of agri-parks and the 30% procurement initiative. Ms Steyn asked if the provinces are making use of the drought resistance strategies. Dr Mkhize said that KZN had acquired a drone that monitored rainfall patterns, and the vegetation situation. He replied that the province had developed and would soon establish agri-parks in five districts. He replied that in terms of the 30% procurement, the province had revised its procurement policy and went further by making it 40% and included small scale farmers .The province was very actively trying to assist disadvantaged farmers and had the radical Agrarian Social Economic programme that worked with farmers to help them produce for the market. There were also the social and education departments . He said the province had 11 districts but had targeted the agri-parks in ten of these, having combined two districts. Nothing had been built yet but the PDA was working with other departments to identify the funds to use on the agri-parks. The Chairperson asked the Northern Cape to respond on the issue of agri parks. Mr Momibi replied that the province had made progress with the 30% procurement and was on track with farmer projects, participating in the distribution of seed and provision of transport. The Chairperson emphasised that uniform information should be used when the departments were reporting. She stated that she preferred an analysis of forecasts as this assisted. Ms Joyene Isaacs, HOD, PDA Western Cape, briefed the Committee on the progress made in the Conditional Grants and Equitable Share plans within the Western Cape. The Chairperson also acknowledged the presence of the MEC for Agriculture from Western Cape. Ms Isaacs reported that the province had 12.9 million hectares and 11.5 million hectares that could be used for agricultural purposes (intensive and predominantly extensive). She highlighted that the Western Cape had a mediterranean climate (winter rainfall), different from other provinces, and this would impact on the type of agriculture that occurred within the province. She reported that in Q1 the Western Cape had used 100% of the transferred funds for the Equitable Share, CASP, Ilima/Letsema, Landcare and the Jobs Fund programmes. Planned activities aligned to the Agricultural Policy Action Plan (APAP) were all on track, except for grain which had already been completed with 2 258 farmers being targeted. She reported that the majority of the Western Cape’s commodity investment was in deciduous fruits (R31.2 million), wine and table grapes (R 19 million ) and grain (R16.8 million). The Western Cape had 24 projects under the Jobs Fund; commercialisation of smallholder farmers, 20 which were in the western areas of the province and four in the eastern areas. She said that the Western Cape would begin the Ebenheiser scheme in Q3 which would focus on construction of on-farm infrastructure. It would benefit 153 plots and be valued at R10 million. Western Cape had trained 475 farmers and mentored four farmers, and had managed to do this despite having received none of the allocated funds through the support of commodity organisations for grain, or Vinpro. She commented that out of the R20.4 million in the 2016/17 allocation for disaster recovery, the province spent only R1.942 million. The slow spending happened because the province reimbursed farmers for recovery work done according to specifications. Also, many farmers were still in the preparation phase with contractors and/or were busy with required Environmental lmpact Assessments (EIAs). She reported that the province received a donation of R2 million for drought assistance in the West Coast and Central Karoo district municipalities, from AgriSA. The majority of the province's land care investment was in water care. The Junior Land Care programme engaged the youth in land care projects and this also received substantial investment. She highlighted that partnerships were critical for development of smallholder farmers and the provinces. Mr Lumkile Ngada, HOD, Eastern Cape Provincial Department, highlighted that the Eastern Cape had a large number of subsistence and small holder communal farmers. This affected the way decisions were made in the province. He reported that of the entire budget allocated to the province, only 3% went to the Department of Agriculture, and this department then had to try to stretch the funding in order to meet the demands of the province. As a result the Eastern Cape PDA had resorted to partnering with the private sector. The Department found these partnerships invaluable, as they assisted with capacity building for farmers within the province. He commended the Agricultural Research Council for providing weather maps which prevented the province from making blunders during the drought. The weather maps also assisted in the allocation of funds for Fetsa Tlala. Mr W Goqwana, Chief Director: Training, Eastern Cape provincial Department, reported that the Eastern Cape province had an abundance of natural and agricultural capacity that could trigger economic growth. He admitted that the province's performance was not up to standard, due to lack of infrastructure, and the nature of farmers .The farmers in the province had limited sources of funding as they could not access funding from financial institutions and also did not easily adopt new technology. The Eastern Cape province received a CASP allocation of R271 million and contributed an equitable share of R87 million. The majority of the equitable share was used in the production of red meat. The province set aside R18 million of the CASP allocation in order to fence 326 km of land, amongst other projects. Training was prioritised in the province's CASP spending with 2 240 farmers, 140 farm workers and 187 youths being trained to date. The province received R101.1 million which was allocated for infrastructure development. It had spent R72. 8 million on new infrastructure, some of which included Osbourne Spray Dip tanks in Alfred Nzo, and a livestock handling facility at Ruigtefontein Farm in Joe Gqabi. He reported that the Department also had programmes geared to accountability and visibility, and 465 smallholder farmers were supported with technical advice and 109 officials were undergoing qualification upgrades. Six Agriculture Advisers have been appointed to resume work in October and recruitment of another five was under way. The Conditional Grants project had created 212 jobs to date on infrastructure projects , and 301 green jobs had been created through Land Care projects. Of the R10.6 million allocated to Land care projects 48 % had been spent on various initiatives including rehabilitation, water harvesting and construction of erosion prevention structures. Under the Fetsa Tlala programme, cropping would be focused on high potential areas in support of Agri Parks and RED Hubs. The province had established partnerships with public and private partners, such as Whiphold, Isibaya Development Trust/ARC and Old Mutual Masisizane, Grain SA, GFADA, SAB and local municipalities. He said procurement of production inputs was underway and pre-plant deliveries were to be finalized by mid-October. Depending on whether the results were satisfactory, the province was ready to commence cropping on time. The Eastern Cape PDA had specific targets; namely to vaccinate 1.7 million cattle and 450 thousand dogs and cats per annum against anthrax and brucellosis and rabies. The province operated 13 veterinary mobile clinics that were equitably distributed across the province, with a bias towards the eastern side of the province where there is shortage of private veterinarians. Mr P Maloyi (ANC) asked the Western Cape If the donation that it received from Agri SA was made only to the Western Cape, or was also offered to other provinces. He was concerned as Agri SA had made an appeal to the Committee for funding, and yet now seemed to be making donations to others. Mr Maloyi asked the Western Cape how many black small holder and commercial farmers the provincial department was supporting and in what specific areas. He asked where the Western Cape province was getting the funds for the farmer training and capacity building work that was done despite no transfers of the allocated funds having been made to the province. He asked why the province had not set out targets for cultivation in the Central Karoo despite the fact that there was an allocated budget for the area. He asked in what exact areas the tractors that were donated for the mechanisation projects were located. Mr Maloyi asked the Eastern Cape if there were no boreholes at all in the province, because he had not seen any reference to expenditure in borehole equipping and maintenance. Another Member asked the Western Cape how this department would ensure that people did not get funded twice for as the system currently operated there could be an incentive for farmers who had already been funded for fencing for crops, to try to then get funding for animals as well. She asked the province if it was providing black farmers with land or if it only provided them with support on plots of land owned by white farmers. If contracts ended between the black and white farmers the black farmers would leave the farms with nothing, leaving behind the infrastructure that would have been funded by the grants to the white farmers who own the land. She asked the Eastern Cape if it had relationships with any universities in the province. She asked the province how it managed the tractors. Ms Steyn asked if the Western Cape had four projects in the Eastern Cape. She then asked the province to provide numbers for both black and white farmers within the province. She shared concern as no land reforms had been done in the Western Cape. Ms Steyn asked the Eastern Cape to give a baseline for the number of hectares planted, as it would give a clearer picture if they had reported that, for instance, out of 100 hectares 15 Has were planted. She asked the Eastern Cape to report specifically on target costs and target hectares that the province intended to plant. 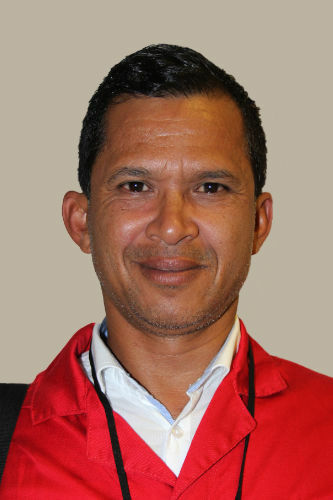 Another Member asked the Western Cape if people who assisted in disaster relief get reimbursed. She asked the province if it had relationships with the municipalities. Ms Z Jongbloed (DA) asked the Western Cape what the relationship between the province and the farm workers was like, given the labour unrest in the province .She asked if the farm workers could obtain assistance from MECs and what the process was for this to occur. The Chairperson commended the Western Cape for their tracking system of Tractors, and also commended the Eastern Cape for the use of their equitable share. She asked the Western Cape what it was doing to ensure that land for agriculture was protected. She noted that she had recently received complaints from the Philippi community that was conducting aquaculture that this community was being threatened with eviction by the City of Cape Town. She asked the province why the majority of the veterinary surgeons who were deployed to the rural area were deployed from the city and were not sourced from the rural areas themselves. The Chairperson stated that she shared the concern of other Members about Agri SA providing donations to provinces whilst at the same time pleading for money from the Committee. She asked the Eastern Cape where the mobile veterinary clinics were operating, commenting that MPs had not seen them when conducting its oversight earlier in the year. The Chairperson asked the Eastern Cape to report on the drought resistant maize it had produced. Finally she commented that the Eastern Cape should take a lesson from the North West programme which supports traditional leaders. Mr Nganda replied that the Eastern Cape had had 83 boreholes currently, but most required refurbishing. However the PDA had plans to add 24 new boreholes. He said the province had a map that showed the location of all the boreholes. The Department in the Eastern Cape was working in collaboration with Rhodes University on an aquaculture project, and was also working with Walter Sisulu University to develop an agriculture curriculum for that university; it was also working on aquaculture with that university. The Eastern Cape PDA had a programme for the mobile tractors, so that tractors belonging to one specific area within the province could be deployed to another area when and where there was high demand. He replied that the province was sensitive to cautioning farmers against abusing farm workers although he conceded that more needed to be done. The provincial department was providing training for farm workers. Farm workers had existing relationships with the MEC office, and they could address their demands there at any time. He described the provincial baseline as 300 ha, and said that out of the total of 1 million hectares, the province identified 300 000 commercial and smallholder farms and would provide a clearer report to the Committee in terms of the irrigation schemes. He said that the province did have a working relationship with the municipalities, where the local municipality would have offices coordinated by managers, with extension officers also being invited to attend municipal meetings. Mr Nganda assured the Committee that the mobile veterinary clinics did exist and the province got support for them from government and the national DAFF. The clinics were spread across all districts but vets were scarce and there were some in each municipality. Mr Mlibo Qoboshiyame, MEC for Rural Development and Agrarian Reform, Eastern Cape, said he appreciated AgriSA's contribution of feed to the MEC. He replied that the province had started training farm workers in Sarah Baartman Municipality on various issues, to empower them. The province was aware of the issue of abuse of workers and the PDA was working on how to respond to the abuse. Ms Isaacs replied that she could not respond to the AgriSA issue specifically, but commented that Agri SA had fodder which the Western Cape province required, and was offering it a much lower price than market value. Ms Isaacs noted that in the Western Cape, there were 9 867 black farmers, of whom 6 000 were commercial farmers. She said that smallholder farmers for wheat had received land from the Department of Rural Development, and these farmers had a lot invested in by rural development, but due to the shortage of water had not harvested anything. The Western Cape province then assisted these farmers from the equitable share. More specific information about the farmers could be shared with the Committee. The Western Cape PDA had already begun training farmers with the assistance of partnerships that the Department had formed with commodity groups, despite not having received funding. It had ten agreements with two commodity groups already in place, and had to start training to ensure they would be ready for the start of the farming season. She noted that there had not been set targets in the Western Karoo, as this region had no water. For this reason the province had taken a conservative approach and was not investing in it in the Q1. However it was hoping to catch up in Q2. She apologised that the map showing the location of tractors was not particularly clear and said that the province would provide the Committee with a more clear map in due course. Ms Isaacs clarified that the PDA did not provide land; this was the mandate of the Department of Rural Development and Land Reform. However, where that department had already provided land, the PDA would then provide support to farmers. The province ran a Farm Worker Programme, which aimed to build capacity for farming in farm workers. The wine industry had a round table to fast track the issues of farm workers. There had been some contention with farm workers at the Robertson manufacturing plant, where workers were demanding a 150% increase in wages, and this had resulted in a deadlock that had affected production that was currently under way. She noted that the PDA had collected statistics from each district on farm workers, and this revealed that only 8% of people on farms had qualifications. She said there was a need for an upgrade in the education and health of farm workers. She said the Department had provided five officers to deal with the issue of farm workers in the province. She explained that the main area of cooperation in the Jobs Fund was found between the PDA and the horticultural sector. Eastern Cape was part of the horticulture industry and so was not excluded, although the initiative had been started by the Western Cape. Speaking to the issues in Philippi, she noted that a representative from the province had been specifically tasked with looking into matters here, and the Department had been advised not to give communities land under five-year contracts but to look at contracts that would provide them with sufficient time to invest. The meeting was not attended by PMG after this point.